We are pleased to announce that we have expanded our range of PET (Polyethylene Terephthalate) containers to now include Boston Round Bottles. We will be expanding our PET range even further over the coming months with more products in the pipeline so keep a lookout for future updates. Why is PET Packaging a great option for your business? Crystal Clear: PET is one of the few plastics that can be produced with a crystal clear finish, providing the same luxury appeal as glass, without the fragility and potential for contamination associated with glass. Lightweight: PET offers an extremely lightweight packaging material, often less than 10% of the original weight of similar glass packaging. These savings in weight directly result in a substantial reduction in your handling and transport costs, with no reduction in protection for your product. Shatterproof: Packaging produced from PET is virtually unbreakable, making it an ideal material for fillers and end-users alike. The durability of PET packaging makes it suitable for use in all kinds of environments and industries. Recycleable: PET is 100% recyclable. Used PET packaging can be collected and re-worked to make a range of second life products, an important factor for many environmentally conscious businesses. Barrier Properties: PET has some of the highest performing barrier properties of any plastic packaging material, making it ideal for storing and transporting a wide range of products. High Speed Production Process: The use of preforms in the manufacturing process, increases the speed of production and considerably reduces price per unit, compared to traditional packaging materials. Industry Sectors: The following industries have all discovered the benefits of PET, making it the fastest growing packaging material in the world. 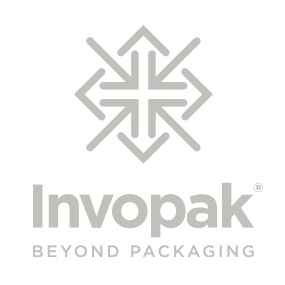 "We promise to source and supply the highest quality packaging solutions from our leading suppliers, to protect and showcase your products."